We provide your child the knowledge and skills to succeed in the classroom and in life. In 2006, World Champion Master Jeonghee Lee created Abakidz, a unique program designed to teach children confidence, concentration, and grit. Abakidz unlocks the secrets of mental math which in turn helps improve memory, focus, and general study skills in children of all ages. What do our parents say about Abakidz? Abakidz is designed to give your child the power and confidence to manipulate numbers. Using the abacus, they learn visualization techniques, allowing your child to mentally perform math quickly and accurately. “I love my teacher. Abacus helps whenever I need to do math. It's hard but very fun. I never want to quit." Master Jeonghee Lee is the current world champion in addition, multiplication, and flash mental math. She is the world's first and only 11th degree abacus master. Having taught thousands of students in South Korea, she is eager to share with your children her simple, yet powerful system. 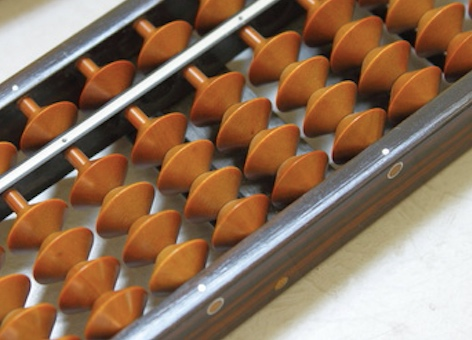 Using the abacus, students will learn the art of mental visualization, enabling them to store and manipulate large numbers with ease. Each of our classes is specialized to improve your child's concentration, confidence and general study skills. Help your child achieve their full potential today! The abacus is a superb tool for teaching children the basics of arithmetic… the confidence a child gains from it helps that child also in developing his/her reading skills. To learn more about the latest developments at Abakidz, check out our news page.